She also has experience representing employers in labor arbitrations and defending businesses in unfair labor practice charges before the National Labor Relations Board. Corinne also counsels clients on a variety of employment issues, including leave entitlement, separation and severance, litigation avoidance, employee handbooks, disability accommodation and wage and hour issues. She conducts in-house training sessions on topics such as harassment prevention and investigations. 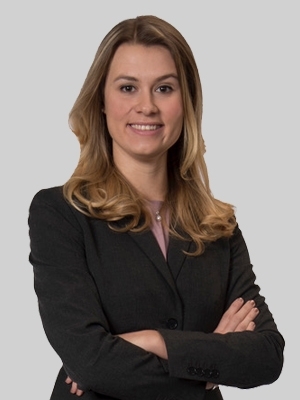 Beyond employment law, Corinne has experience in construction law and government contracts, and has represented clients in connection with complex bid protests. A workplace audit is the first step in improving a company’s human resources department. It allows a company to evaluate its current policies and practices to identify weaknesses or areas out of compliance. This eBook, co-authored by Corinne and Ian D. Meklinsky, co-chair of the Labor & Employment practice, provides a guide to systematically review a company’s pre-employment, employment, post-employment, and other miscellaneous processes. Corinne was a summer associate at Fox. While in law school, she served as a federal judicial intern to the Honorable Freda L. Wolfson of the U.S. District Court for the District of New Jersey. In this role, she composed legal opinions resolving a variety of matters, including complex questions involving claims pursuant to the National Labor Relations Board, Section 1983 Civil Action for Deprivation of Rights, New Jersey Civil Rights Act, National Flood Insurance Act, Social Securities Act and New Jersey Tort Claims Act. She also drafted memoranda recommending appropriate disposition of cases, including a res judicata issue for a multidistrict litigation. Additionally, Corinne was editor-in-chief of the Rutgers Computer & Technology Law Journal and a member of the Jessup International Moot Court Team. Prior to law school, Corinne was a Lipper Intern at the Museum of Jewish Heritage in New York, where she traveled to schools and taught Holocaust history. She also served as a research assistant for Regional Educational Laboratory Mid-Atlantic.